Two years. 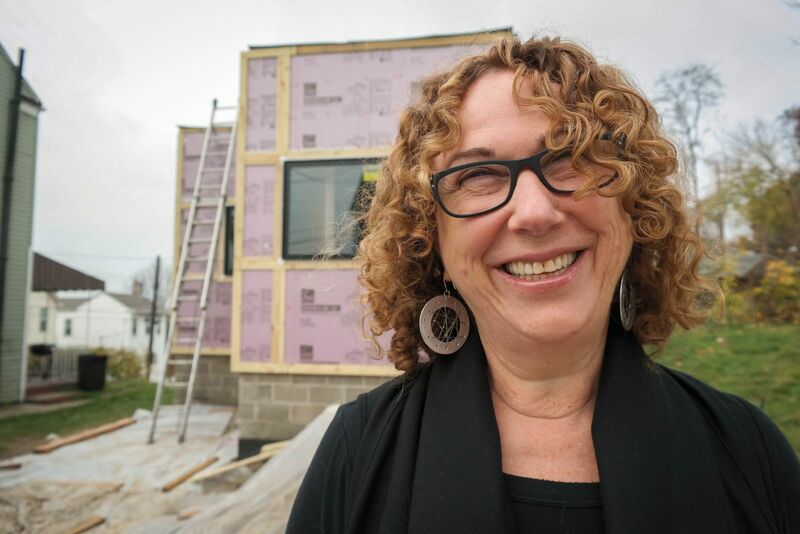 That’s how long Eve Picker has been planning Pittsburgh’s first tiny house. It hasn’t been easy. She couldn’t even get a bank loan because the project was too unusual. And city zoning codes aren’t exactly set up for tiny houses. So the fact that ground is actually breaking and studs are finally being nailed, feels like a big deal. Picker is a veteran of Pittsburgh’s development scene—and a bit of a maverick. She was one of the first to start renovating downtown lofts in Pittsburgh way before it was trendy. And this tiny house is a bit of an experiment too. 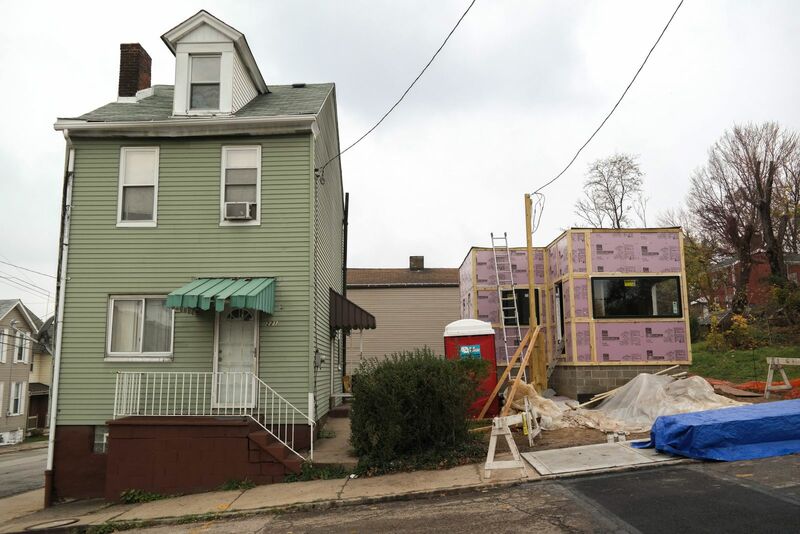 The 330-square-foot, open-concept house is one of 16 projects that Picker’s group City Lab now has underway in an attempt to breathe some new energy into Pittsburgh’s Garfield neighborhood—a place which has yet to catch the wave of the city’s ongoing renaissance. That ring is now sporting all the traditional signs of urban renewal: A shopping district with a Whole Foods; $2-a-square-foot apartments. Google has even moved in down the road. Meanwhile, in Garfield, the story is the familiar Rust Belt tale of population loss, blight and vacant lots. It just couldn’t seem to attract new residents, particularly the so-called “creative class” of designers, engineers, researchers and artists that economists say can be key for reinvigorating and stabilizing neighborhoods economically. In other words, why not try to attract these kinds of creative workers by bringing something to the neighborhood that would appeal to this demographic—and that the community could say was only happening in Garfield. One idea: tiny houses. “People love tiny houses. There’s a tiny house movement that’s global. I don’t know why it’s such a romantic notion, but people seem to really love the idea,” Picker says. And the idea has already generated a lot buzz. Picker says even the local cops now call Garfield the “tiny house neighborhood”—and the house isn’t even finished yet. But not everyone in Garfield was feeling the love—at least not at first. Swartz is optimistic that won’t happen. In fact, he says most people in the neighborhood just see the tiny house as a curiosity. And if the neighborhood accepts this first one, he’d like to see more tiny houses built on Garfield’s more than 500 vacant lots. But he can only do so much marketing. At the end of the day, he says his neighborhood’s attitude toward the project will depend a lot on who ends up buying the tiny house. This concern over who the buyer might be assumes, of course, that there will be a buyer. And finding one—at least one willing to cough up enough money to justify the project’s cost—can’t be taken for granted. This is literally the first example we could find in the country where a developer is building and offering a tiny house for sale in a city neighborhood. So no one knows if all the new mainstream buzz over the fairly DIY tiny house movement means people will actually buy tiny houses built by developers. “I think the fact that we’re even talking about it shows that there’s a certain level of intrigue,” says Leila Bozorg, a housing expert who’s done a survey of tiny house projects nationwide. Should this pilot project be successful, Bozorg says Rust Belt cities like Pittsburgh, Detroit, and Cleveland—which already has something similar in motion—stand to be at the forefront of this new sector in the tiny house economy. In cities like New York or San Francisco, Bozorg says this concept wouldn’t have a chance. Land is just in too short of supply to build dwellings that might house only one or two people. The first test of that alternative is about ready to play out. Eve Picker’s 330-square-foot tiny house will go on sale next week. The price starts at $109,500.